Keith Outten, has been involved in the construction industry since 1975. His background includes both new construction and repair of several Nuclear and Fossil Power Plants. Early in his career Keith worked in Quality Assurance and obtained a Certified Welding Inspectors certification from the American Welding Society and an American Society of Non-Destructive Testing Level III certification. Later in his career Keith was a Construction Engineer assigned to various projects with Virginia Power in the Multiple Power Projects Group. 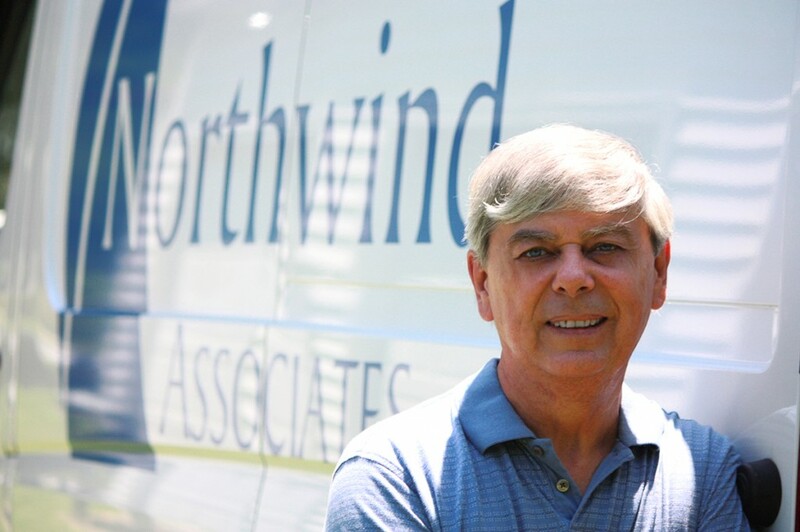 Prior to his establishing Northwind Associates Keith preformed as a Construction Clerk of the Works for the State of Virginia on a variety of commercial building projects. Keith has been involved in the commercial sign business for over twelve years. During this time he has designed, fabricated and installed turn-key signs for construction projects from 80,000 to 135,000 square feet and a number of building additions and retrofit projects. The general focus of his design and fabrication work has been to produce new and innovative signs with lower cost of ownership as a primary goal. Lessons learned from existing facilities concerning improving sign longevity and reducing maintenance costs is the direction that Northwind Associates prefers to offer their customers. Along the way Keith established what is today the largest Woodworking forum on the global Internet. SawMill Creek.org went online in 2003 as a community service web site that has been providing a friendly place for woodworkers of all ages and every country a place to gather and share their experiences and expertise. Keith is also the Founder and Administrator of the Freedom Pens Project, a Non-Profit 501 (c) (3) organization which has shipped over 152,000 custom hand writing pens to American Servicemen and Women serving in the Middle East. Copyright © 2018 Northwind Associates, Inc. All rights reserved.